← 6 Networking Rules to Break. Now. Great meme/pic to go with! 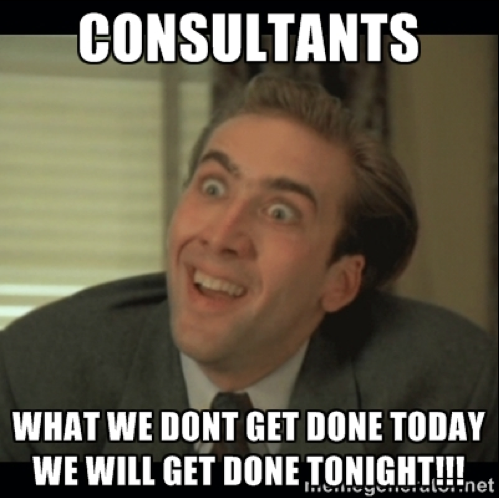 I read your post on freelance consultants (opposed, I guess, to large corporate consultant groups such as McKinsey). I liked a lot. Clear, concise, spunky, and to the point. Enjoyed reading it. Love, G.W.,Sr. I go into some of my clients’ offices and am kind of amazed at how many regular employees are taking breaks to chit chat. The consultants, on the other hand, are head down and charging ahead.